There is a parking lot located on site for Customers and Hotel Guests. There is also parking available behind Anderson School in the Pop Keeney Stadium. Onsite at the Anderson School, we have a weekly live music, a first-run movie theater, billiards, shuffleboard, outdoor fire pits and more. 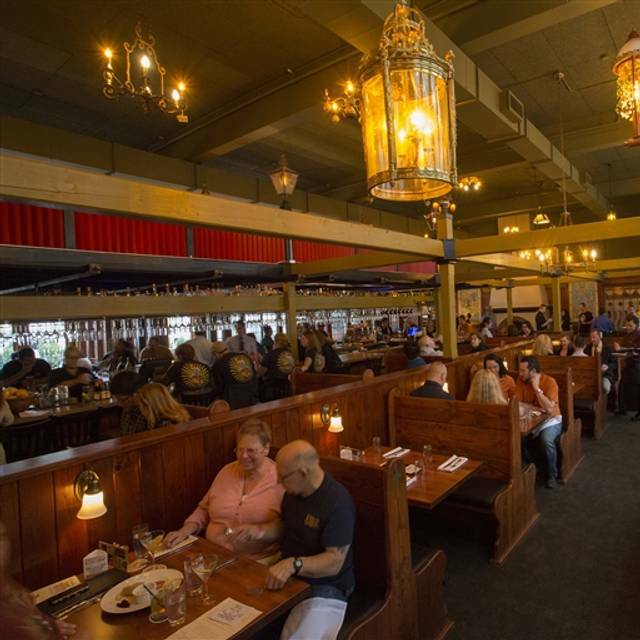 The Tavern on the Square at McMenamins Anderson School is open daily for breakfast, lunch, dinner and later-on. This Northwest-style café offers comfortable sophistication, making it an ideal spot to meet up and enjoy house-made specialties, such as brioche and desserts. 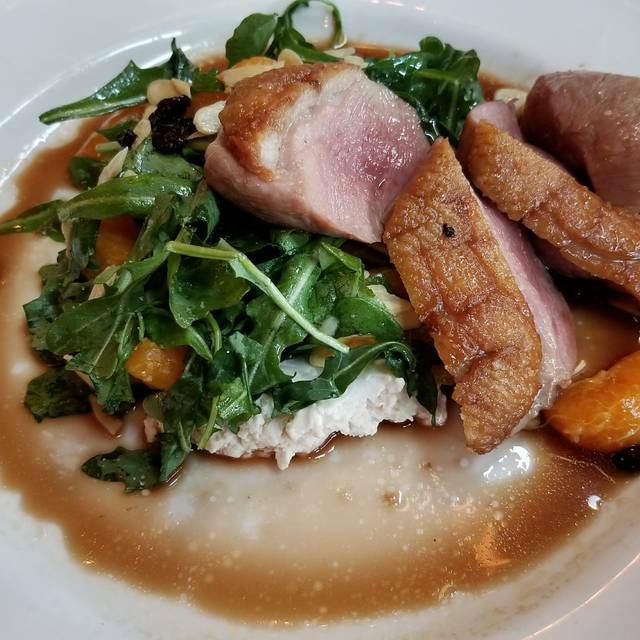 You'll see seasonal offerings, fresh fish and local produce on the menus here, ranging from crab cake benedicts to a dinner entrée of pan-seared Maple Leaf duck breast. Dining options pair well with our handcrafted coffee, ales, cider, wine and spirits-offering upscale classics and modern inventions. Fresh, inventive offerings make this Tavern an inviting space any time of day or night. We recently visited during a Friends & Family night. 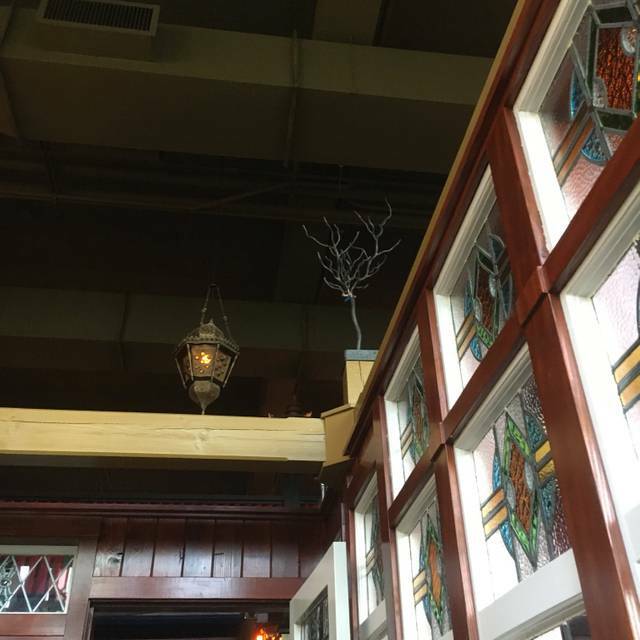 Our server mentioned the event, pointed out specials, and was attentive through-out our visit. The food was fantastic! The New York sirloin was so flavorful, as were the amazing sweet potatoes that came with it. And the coconut sorbet was do die for! We had a very nice dinner and the service was good. I've heard mixed reviews in the past about service but I have never experienced any real issues here. The happy hour menu is great and the drinks are delicious. The hard liquor list is impressive and comparable (but more affordable) to the high end restaurants in Seattle. We thoroughly enjoyed our experience there. PS: The Shishito pepper appetizers are awesome. Some are mild then you get that one that brings some heat. We will definitely come back for more. Overall this is an interesting restaurant to visit, but food was disappointing. Brussels sprouts app was ok, nothing different from most though. My big criticism was Cioppino, really bad. Sauce literally tasted like watery ketchup with three large canned, stewed tomatoes and very little seafood except for clams. Saving grace was dessert, beignets with sauce were fresh, hot and yummy. Service was quite good. Wagyu beef burger is always good, but the truffle oil French fries were so salty they were almost inedible. Service on a Saturday night was mediocre and slow. The place is well known and popular and doesn't need my endorsement. The food was better on this occasion than I had come to expect from this establishment. The beer they make is not so good so it was refreshing that they had Chuck-a-nut as a guest handle. Beautiful space and eclectic feeling. Our waitress was phenomenal. Love the beer selection even more because y’all brew it. We will be back for more food, the outside seating and explore the rest of the space. I went there to meet up with some old friends from our teenage days marching in a Drum Corps. The ambience there was first rate, the staff was attentive, and the food was delicious. I opted for a simple appetizer of Roasted Brussels Sprouts and Cauliflower, and they were perfect! My friends both went for the gumbo, and I was almost tempted to change my order when I saw it, or at least take some home with me! I have been to this place a few times, and have not been let down any of them! I will go back there again, and recommend that my friends go there as well! I have been here before for a night cap, and decided to try it for dinner.. Dinner was not a good experience. Staff - had three different servers, and as a result never quite knew 'our' server was supposed to be. After our food arrived, we had a question about if a particular item was to be included. The waitresses said she would check. We waited for about 10 minutes for her to return with the answer. When she finally did return her response was 'oh, I forgot to check. Sorry.' and then walked away. Food - The food was quite bland. Neither of the dishes that we ordered were seasoned. 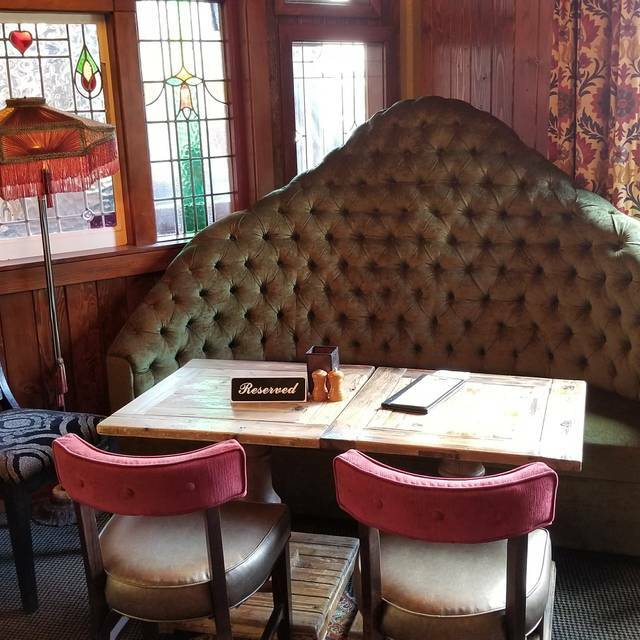 This is a decent place for drinks, but not for food. Will recommend to have better communication between the people who takes phone calls and reservations. I would also recommend for them to have a better sense of service when they have reservation for a large group. I love this place, but this time I was disappointed. The food was really not great at all. The cottage potatoes were ridiculously salty. The scrambled eggs flat with no flavor...the biscuits and gravy were, on the other hand very tasty. For my breakfast meal it was overly priced and the flavor was disappointing. This is great place to meet friends for dinner. It is comfortable with a relaxed vibe. 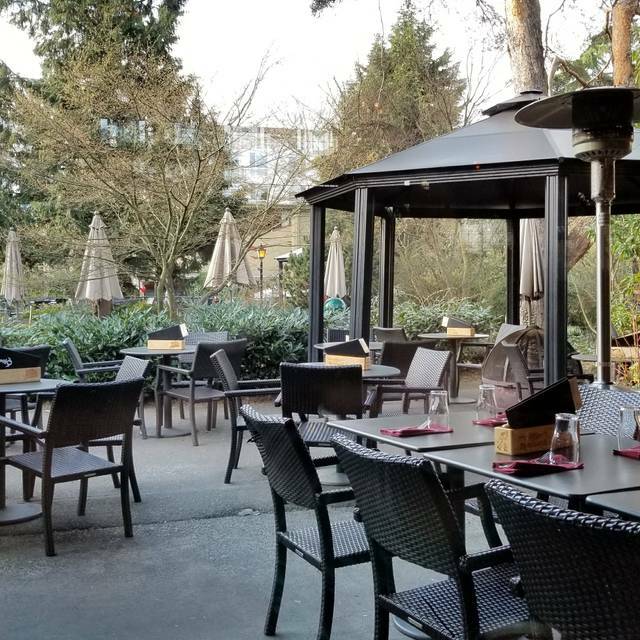 If you are with friends who want to let loose, however, the tiki lounge across the street might be a better option. Have been many times and enjoyed the experience. This past time was poor and I am being polite. Not only was the service slow to non-existent, an order was wrong at a table that was a food sensitivity issue. She was actually fine or ordering the item, but the server insisted they modify it for her very easily. They not only didn’t, but didn’t tell her until a different server brought out the corrected side dish and my lunch mate had already eaten at of the side dish. I rarely leave comments, but this was terrible. We generally love going to Tavern on the Square. But, this time, it just wasn't up to par. The food usually is good; this time it was OK, but not anything I'd be happy to repeat. Don't let it slide, guys. Don't let it slide! It was fine for overall ambiance. There for breakfast - nothing extraordinary about menu or food. Biggest downer was the wait for food. Over an hour from ordering to serving - extremely slow. 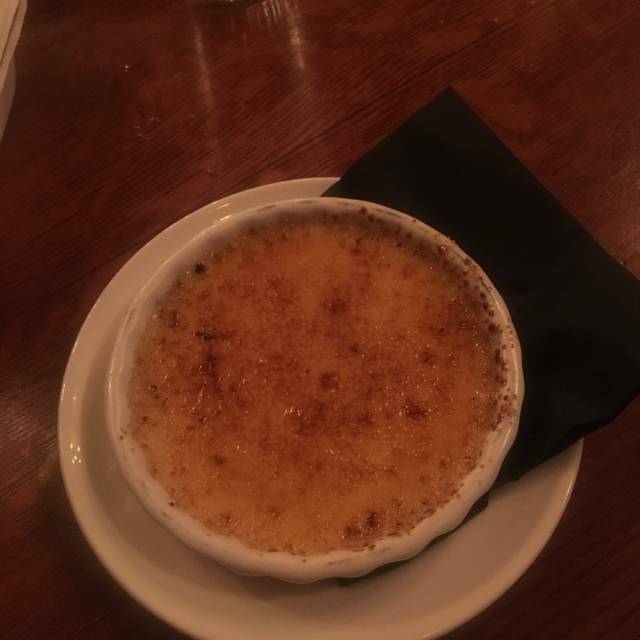 We enjoyed the ambiance at Tavern on the Green, but it took way too long to get our drinks from the bar and food from the kitchen. We have been there two other times and had the same issue then. Management really needs to figure out how to be more efficient in the bar and kitchen. It would be worth the experience to visit, as this is such a special and unique restaurant with a warm and "hip" vibe. Unfortunately 4 of the 5 meals ordered not as good as we were hoping for. Ambience great! Food could could be better. Well done by the staff, we were seated late, we were offered free apps as a comp will done! Drink service while we were waiting AWESOME!! once seated everything was great! Food and service were impeccable!! 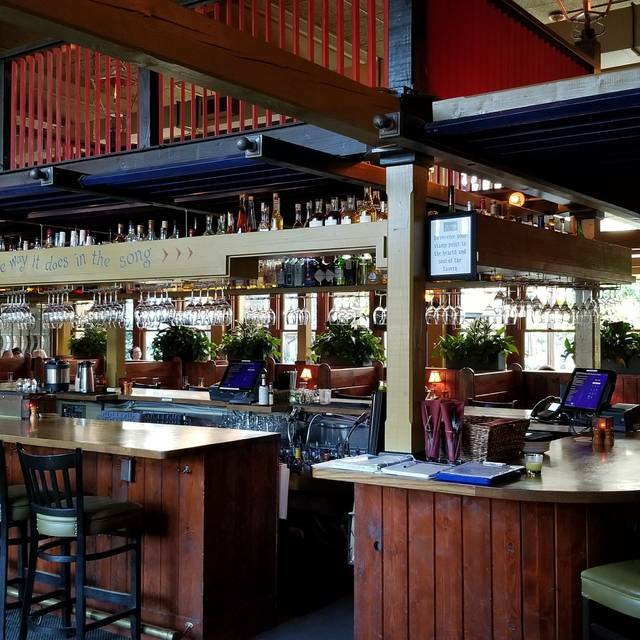 You can’t go wrong at any McMenamin’s and Tavern on the Square does not disappoint! Outstanding food and service and we will definitely go back again! I have had several wonderful breakfasts at Tavern on the Square, and a couple of mediocre dinners, so I will recommend for breakfast. I've also had several great lunches at the theater which I think are prepared by T on the S, so I will recommend that as well. Dinner, not so much. Our server was very personable and mostly did a great job. My son ordered the creole gumbo, which stated on the menu that it had a trio of vegetables served with it. It did not - no veggies. My husband enjoyed his ravioli with short ribs. I ordered the mushroom and goat cheese pizza, which was ok, but was overwhelmed by the crispy onions on top. My side Caesar salad has so little dressing on it that we were not sure if thee was any at all. Our server brought me some in a cup, and that helped, but much of the romaine was the tough outer leaves. Excellent meal, service and ambience. One of us wanted to order the gumbo, but concerned on the level of the heat level and the server brought a little taste. It was perfect! Loved my Boozy Hot Chocolate drink, too. A nice touch to a great meal. We will be back. Our 2nd time & we enjoyed it as much as the first! Great atmosphere, wonderful food and great service. Beautiful place. Go! Our waiter took our sarcasm and joking fairly well. The food was good but very overpriced for what you get. Plenty of parking, takes reservations, really nice staff and good food. We had pretty standard breakfast items French toast and eggs Benedict and they were great. Very Family friendly we really like that. Fun atmosphere & very nice lunch. Service was excellent & friendly. We had all been here before & will surely be back again. Although my sisters order was in error the staff was so gracious they still get 5 stars.. the food was very good, and at a value. I would strongly recommend this restaurant. And we will be back! McMenamins schoolhouse is always a fantastic place to visit, with several options for dining and hanging out. The Tavern on the Square is the main restaurant, and offers a lovely, almost nostalgic, setting for a fantastic meal. Our server was prompt, warm, and welcoming. At no point during the meal were we left wanting something. The only downside to our meal was that the food seemed to have a lot of salt and the appetizers were incredibly large portions. However, this will probably not stop us from returning in the future to Tavern on the Square. Great food and atmosphere. We had our Valentine's dinner there. Can't recommend it more highly. After order was taken, waitress brought silverware for our dishes -- large spoon for a soup style seafood dish -- told her no - pork porterhouse had been ordered and a ravioli dish -- not the seafood -- she agreed she had made a mistake and would correct it -- low and behold what came to our table but the ravioli and the seafood gumbo dish! Had to wait another 15 mins at least for them to bring what had originally been ordered. Their saving grace was that we were charged only for our drinks, starter and the ravioli. 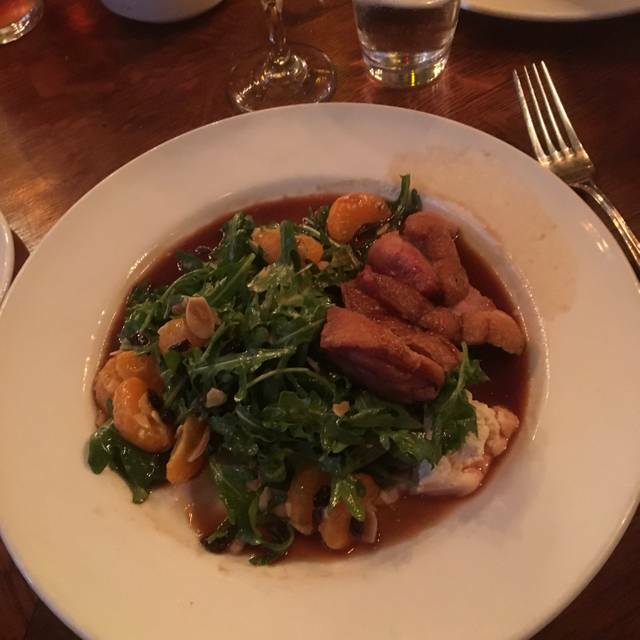 A night of great service and quality food and drink. They had the big game showing in a small room off the main area with the sound down, which worked for those of us who didn't want to watch. Thank you! 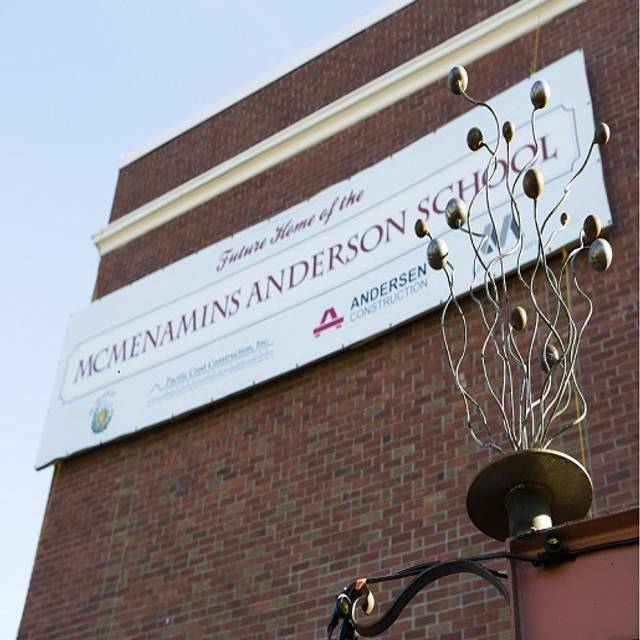 The entire Anderson School facility is terrific; all the bars and dining areas are typical McMenamins kitschy, stylish, and homey. The service was laughably poor and the food was below average...costs were pretty high as well. Service wasn't the best I've ever had, water glasses were empty more than once and our plates sat on the table for a while after we were finished. The food was OK, I don't think it justifies the price point at all, but it was OK. Some things are better than others. The decor is great and the grounds of the Anderson School are really nice - definitely recommend going, but maybe just for drinks and skip the overpriced food. Fun place to take a group of friends. Food was good. Burger was a bit bland. Ravioli was amazing. When we arrived for our Friday night reservation we were greeted with smiles and seated immediately. The dining room is a psychedelic delight. Lots of cool stuff to look at. Service was spot on. Professional and friendly without feeling canned or rushed. Food was delicious. I had a steak, she had ravioli. We shared carrot cake for dessert. Drinks complimented the food perfectly. I went with Hammerhead and a whiskey flight. She enjoyed lattes. We had a great time and look forward to visiting again soon. Our server was excellent. The staff supported each other in timely immediate needs. The chef did a great job. It was not noisy. Three adults and one three year old could enjoy a conversation. Kids menu good. This was my third time to The Tavern. I would continue to go back. This was my 2nd time at The Tavern At The Square and it was awesome.